In Breweriana > Pabst > Show & Tell and Figurines > Show & Tell. 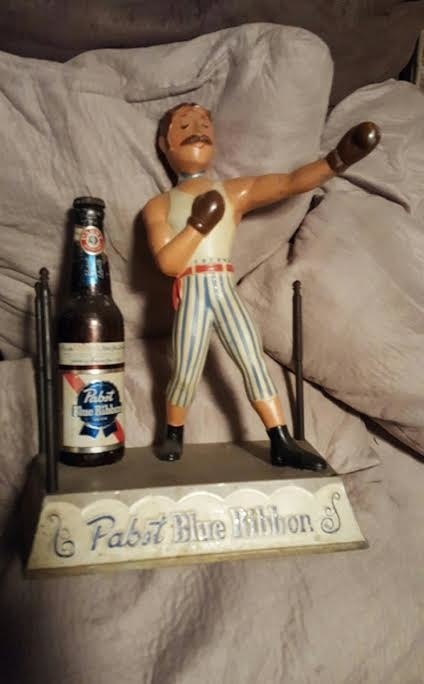 PBR boxer figurine. 1958?? Missing sign and 1 post. Otherwise it's in great condition!